I've only had my "new" stage piano for about a year now, so I guess it's about time to write about it. I've been playing some variant of a keyboard (organ, piano, keyboards) since I was 8 years old. As soon as I got good enough I started playing in church and have been doing so off and on ever since. For the last few years I have been playing a keyboard at church (a Kurzweil, can't rememer the exact model...pretty high end). I downloaded the user's manual for the Kurzweil, read it cover to cover and spent a lot of time trying to learn all the features. I finally gave up. I decided it was time to bring my own instrument to church, but what should I buy? What is a Stage Piano? A stage piano is a portable digital piano that is made specifically for packing it up and taking it on the road to play at gigs and various events (hence the word "stage" in the name). Most stage pianos do not have speakers built into them because if you are playing for more than just a few people you are going to need more powerful speakers than what you can fit into the housing for a portable piano. Stage pianos are designed with hardware and features specifically for people that perform with other musicians in front of an audiance. Most people who never intend to play anywhere besides their home have no use for a stage piano. But if your main use is hauling it various places to play, a stage piano is the only way to go. The hammer action and the feel of the keys were as close to a real piano as I could find. This is different for everyone, so it is important that you play one before buying. The piano sound of the Casio was the best of everything I tried. I primarily play piano when I'm at home, so this was very important. Right out of the box the Casio had a huge variety of sounds that were perfect for the type of modern music we play at our youth mass at church. The Casio was less than half the price of anything else on the market that had similar capabilties. I'm a Mac guy. The reason I love Macs so much isn't so much becasue of the company that makes the computers but because of the amazing people that use them. How often do you run into a Windows PC user that is gushing about how much he/she loves using their computer and can't wait to help others have the same experience. I'm still looking for this elusive PC user...I know there are a few out there somewhere. I found the same thing with the Casio PX-5S . People that own this amazing stage piano love it so much they can't wait to share what they know about it with others. Before I even went out and played a Casio PX-5S , I found the Casio Privia Pro PX-5S Digital Stage Piano Group on FaceBook. This is an amazing community of enthusiasts and professionals that share all their knowledge and experience about the PX-5S. The combination of the amazing sound and feel of the keyboard and the community behind it made it a very easy decision for me. I've had several questions about how to do various things with the Casio and sure enough, a simple search on the user group or a quick post and I have my answer. 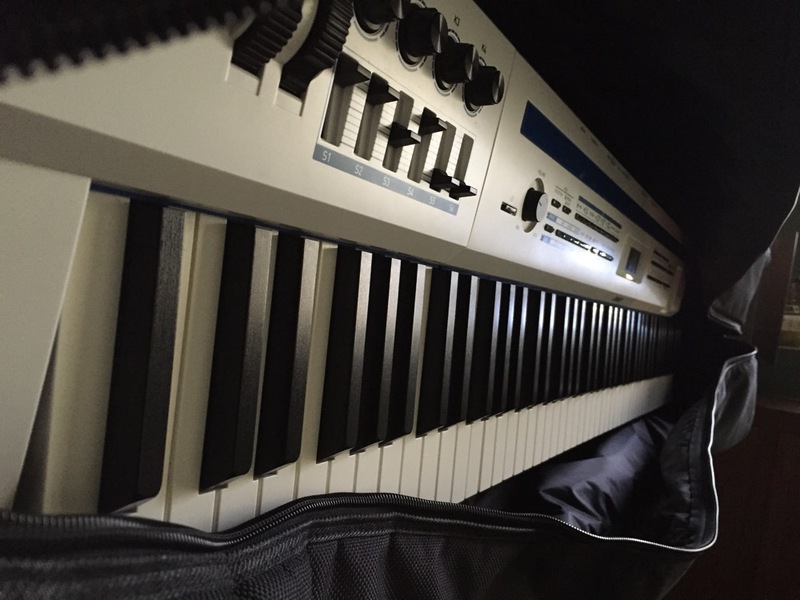 Because the Casio has the ability to create custom sound combinations and the abiity to share these custom sounds the user group becomes even more useful. I've found other users that play the same songs we play at church that have already created custom sounds specifically for the arrangements we are playing. All I have to do is download the custom stage setting and I'm in business. The very first thing you should do is join the Casio Privia Pro PX-5S Digital Stage Piano Group on FaceBook. This is a closed group, so you will have to ask to join (don't worry, they will let you in). Visit the FaceBook group's [Quick Start Guide][guide] for tips on basic operation and how to get started. The user's manual is really not all that helpful (you know, like most user's manuals). Download the latest firmware update and the "Data Editor" application that allows you to create custom sounds and stage settings. Both of these things can be done here. Take it slow. Don't try to learn too many things at one time. Remember, playing a piano is supposed to be fun. If you try to learn too much at once it won't be fun and you won't remember what you learned. On Stage KSP100 Pedal. The small pedal that comes with PX-5S just isn't big enough when playing it as a piano. I needed something a little more sturdy and traditional. On Stage Keyboard Bench. I needed something comfortable enough for extended playing at home yet portable and light enough to take on the road when needed. This fit the bill nicely. On Stage Pro Double X Keyboard Stand. I wanted something a bit beefier than the entry level stand but still ultra portable. The PX-5S is really light, but I didn't want to cheap out too much on a stand. [On Stand Speaker and Mic Stand Bag][bag]. Carry bags for stage pianos are quite expensive. However, this On Stage bag that was originally designed for Speaker and Mic stands works perfectly for the PX-5S. Twelve South Hover Bar 3. I use this to connect to my keyboard stand so it can hold my iPad just above the keys to serve as my sheet music stand. DeepDish GigBook Sheet Music App. I did a lot of research before spending a few bucks on a sheet music reader. I finally pulled the trigger on this one and it has served me extremely well ever since. They have very regular and extensive updates. A super star sheet music organization app for the iPad. See a post I wrote a few years back about using the app with both a full-sized iPad and an iPad Mini. If you are even remotely considering the purchase of a stage piano or have already made the purchase I would love to hear about it. Feel free to post below in the comment or contact me directly. Most important of all, have fun!